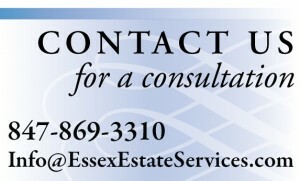 WELCOME TO THE NEWS PAGE AT ESSEX ESTATE SERVICES. The intent of this page is to inform and educate you about interesting situations, unusual items, and news-worthy events that may affect you when the time comes to liquidate your personal property. Visit us frequently for updated, timely information, tips and suggestions, and links to resources about personal property liquidation and appraisals. Let us know if there is a topic you would like to hear about. This first article provides insight about how people tend to value their possessions.